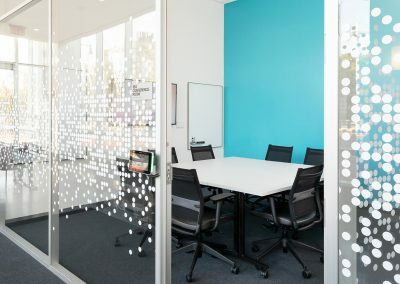 The construction project encompassed design and creation of four new conference rooms with an operable partition dividing two of the rooms to allow for a larger meeting area, when necessary. 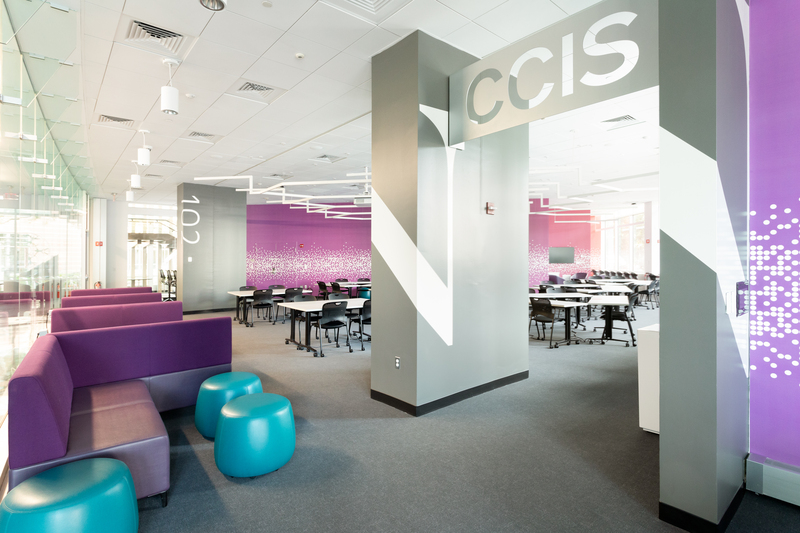 Project scope also included creation of a new digital laboratory with a new layout and furniture plan to allow the university’s CCIS to increase the occupancy load of the space. 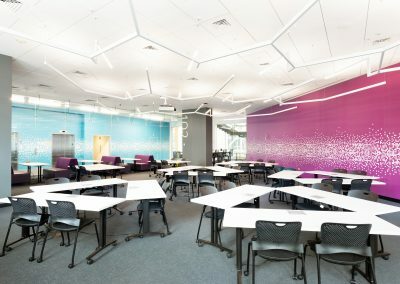 The conference rooms and digital lab are outfitted with cutting edge technology, interactive audio-visual and lighting scenes and designed with modular furniture to accommodate the expanding needs of the diverse groups and uses within the area. The project also included finish upgrades to the first floor lobby area and corridors, digital wall graphics, lighting upgrades and a 10-by-10-foot window wrapped in anodized aluminum trim. In addition, four new heating and cooling units and an air curtain were installed. 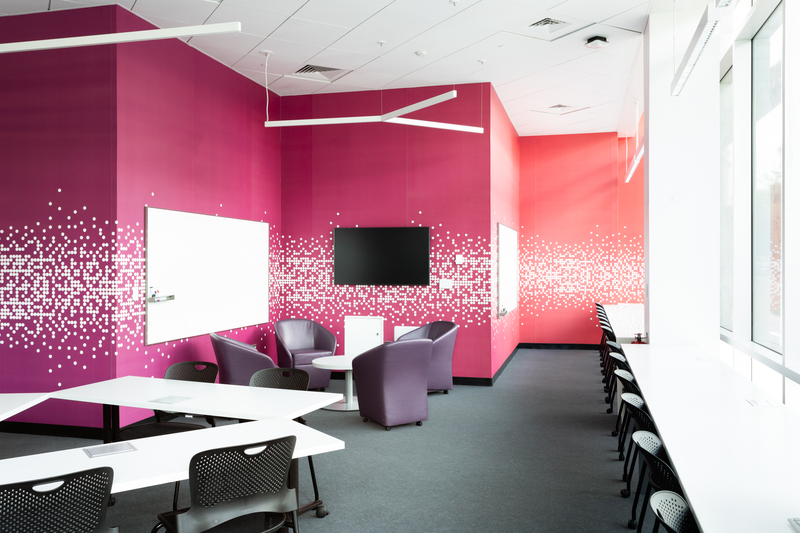 The project schedule proved to be challenging due to the lead time of materials required for the project. 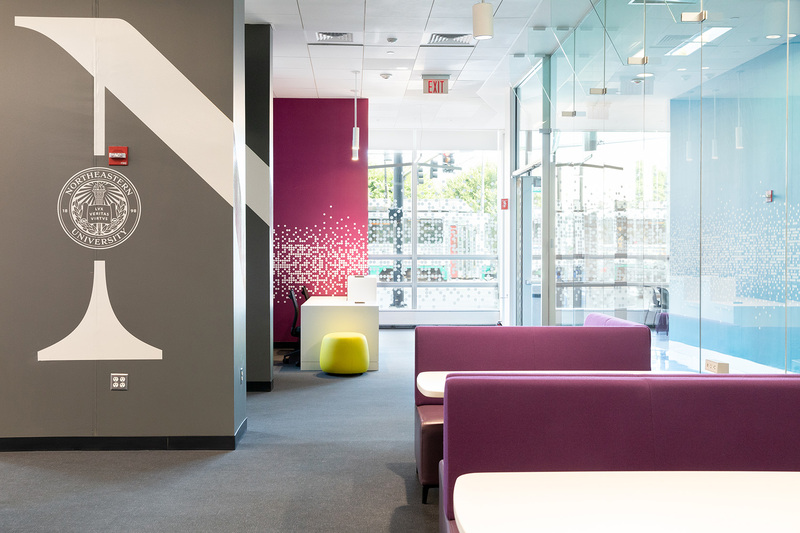 Custom light fixtures – which typically take 8 to 12 weeks to procure – and a Lutron control system had to be installed and tied into the fire alarm system prior to final inspections and testing. In addition, during the demolition phase of the project, power feeding a major server room was discovered in an existing wall that was specified to come down. The server room housed many years of the University’s research; as such, it was necessary to reroute the power to the server while maintaining power at the units. Ultimately, Acella Construction was able to meet a short three-month completion timetable, despite the project’s many challenges. 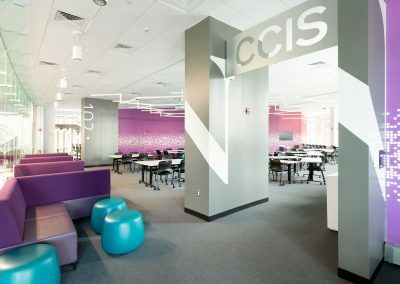 Acella Project Executive Saul Schrader and Superintendent Shawn Kelley oversaw the project, working in partnership with Gensler Architects of Boston. 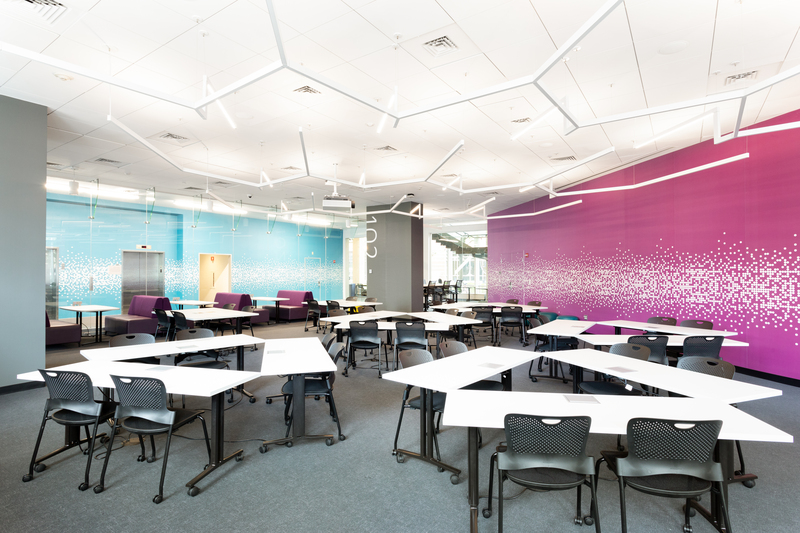 RW Sullivan of Boston provided engineering services for the Northeastern University project and ARUP of Boston served as lighting consultant.